I was late, I used for tire replacement. At the time of ordering, the person who bought the hydraulic jack had the advice that this was also purchased, and I thought that it was good to order, doing the above work. Very convenient and easy to use, I am very satisfied. This review is about item#9988571. In the past, the lower part of the car was deformed when jacking up without using it. There are still dozens of uses, but durability seems to be quite good. 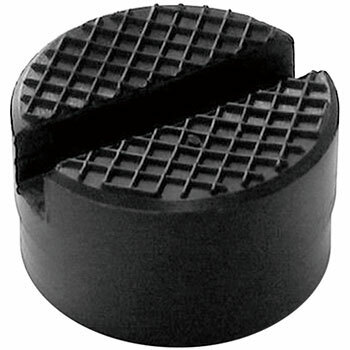 Used for floor jacks and horse jacks It is used to protect the jack up point on the vehicle side. It is a very useful product because you can jack up without damaging the vehicle. I never used an attachment, so I tried purchasing it. I felt that I felt like the feel of rubber, I could raise it by the thickness high, I thought that it was very good shopping. I also use strength well. It's small and good for jacking. You can rest assured that there is one. It is an essential item at the time of studless replacement. Since the monotail brand was out of stock, I bought it without any help. When using a floor jack, it is an easy to use product that can be used under both the engine frame and the door. It is very useful when exchanging studless tires in winter. This review is about item#09988571.